What they do: Help you live longer; give single people hope. Why: The blossoms symbolise growth, prosperity, long life and romance. Where to put it: In the oldest and nicest porcelain vase you have — it’s believed that the older the vase, the longer the flowers will bloom. What it does: Make the money roll in. 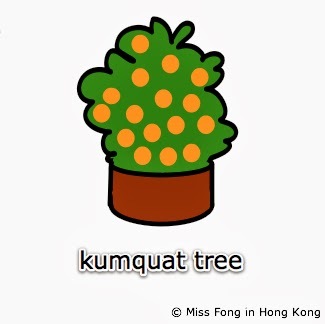 Why: Gumgut (in Cantonese) is a pun for gold (gum) and good fortune (dai gut). Where to put it: In doorways. What it does: Make you rich. Why: Its yellow and white flowers represent gold, silver and wealth. Plus, they smell good. Where to put it: In a shallow dish with smooth pebbles and filled with water. What they do: Bring luck and good fortune. 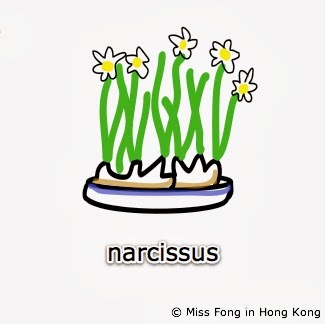 Why: Known as the ‘flower of riches and honour’ in Chinese, they symbolise feminine beauty, love and affection. Red ones are most popular for CNY. Where to put it: Anywhere that looks good! Why: The Chinese name ‘yin liu’ means ‘silver willow’, which sounds like ‘money flowing in’. If they bloom during the first 15 days of CNY, you’ve hit the jackpot! Where to put it: In a container of water at room temperature in a cool, shaded area. Other popular flowers include orchids, lilies, azalea, sunflowers, and pretty much every flower under the sun (except roses, I think). 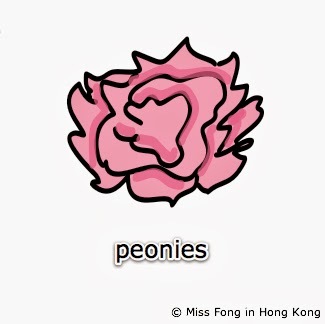 For more on CNY flowers, check out this handy guide. 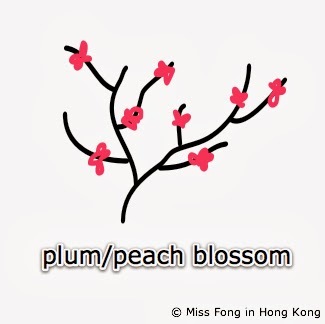 And… should you want to send some CNY greetings to your friends and family, check out my all-new Miss Fong in Hong Kong CNY postcards! Thank you for that, being a horrible Chinese myself too.